In August 2017 Living Stories headed west to film the artists creating work for the Spinifex Arts Project in Western Australia. We spent a week in Tjuntjuntjara and Ilkurlka, filming the artists, going out bush and marvelling at the stunning landscapes. 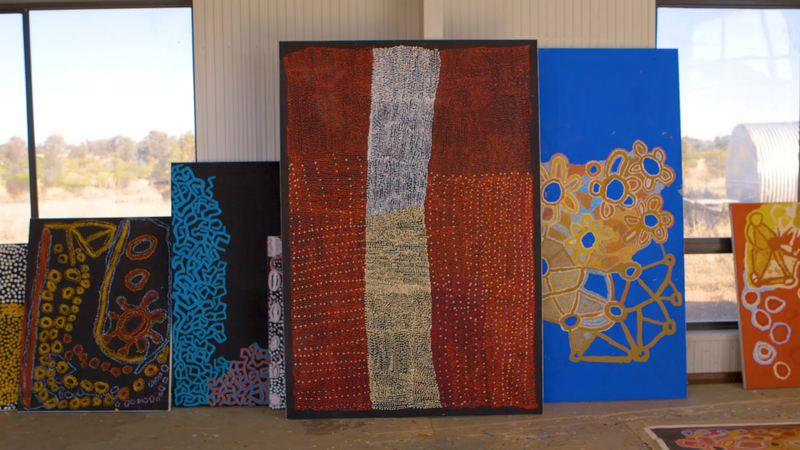 We produced a film highlighting some of the artists and their stories, which screened alongside their paintings in an exhibition at the Japingka Gallery, Fremantle.